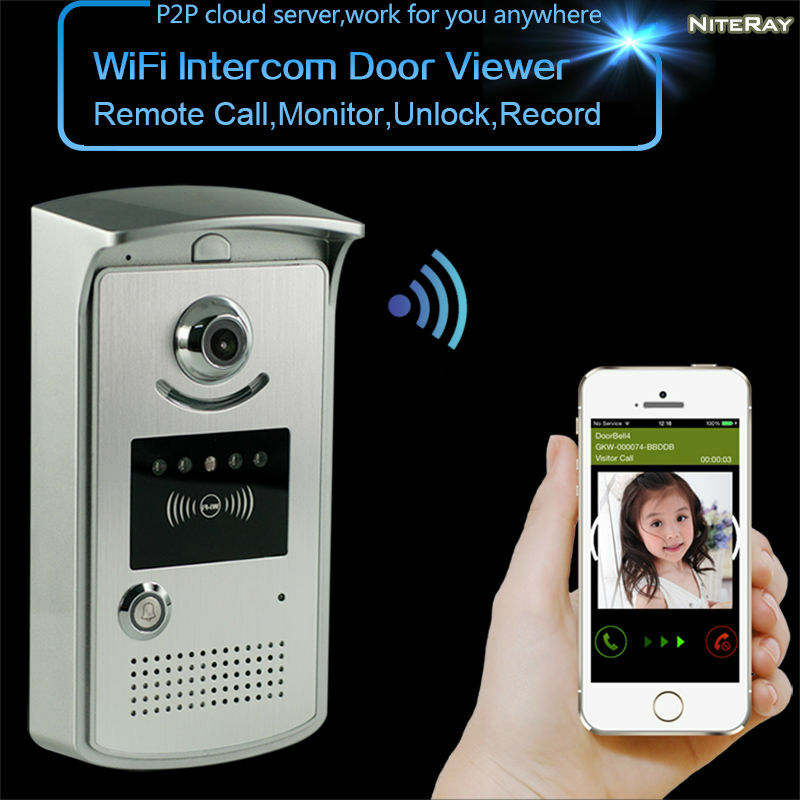 NiteRay WiFi Video Doorbell connects to network via Wifi router or network cable. 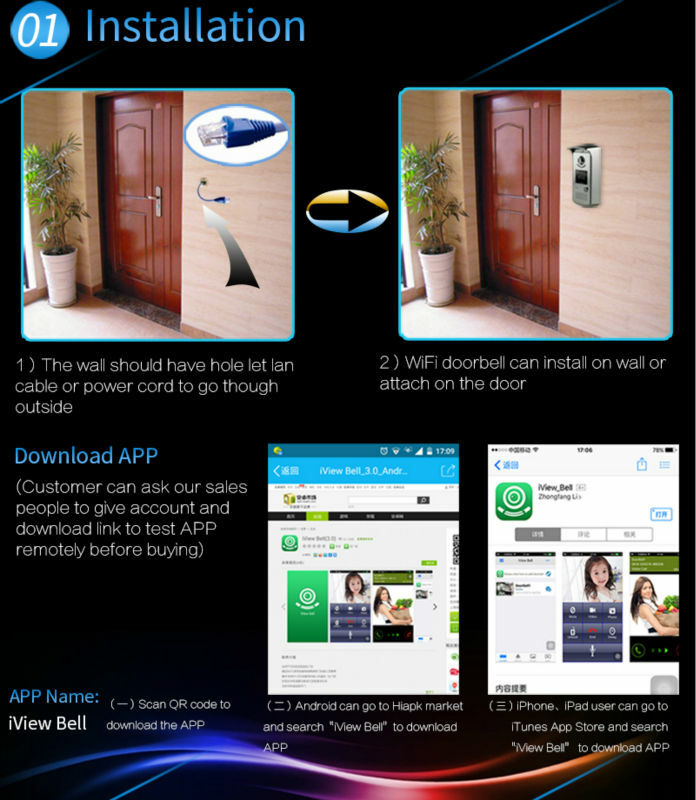 Mobile devices including smartphones or Tablets, could connect to the doo rbell. 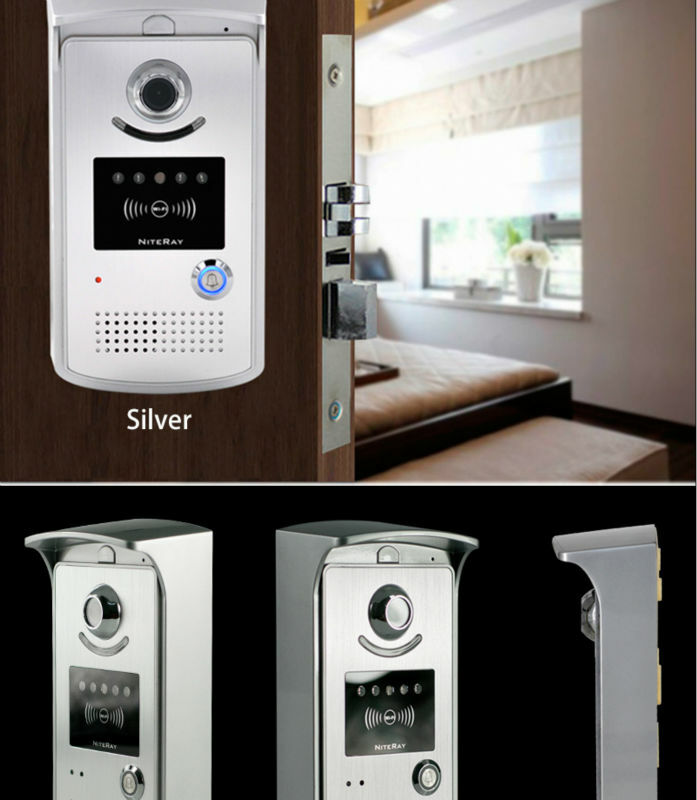 After the visitor rings, mobile devices could interact with doorbell via real-time video and audio, unlock, take photos, take video and warning. 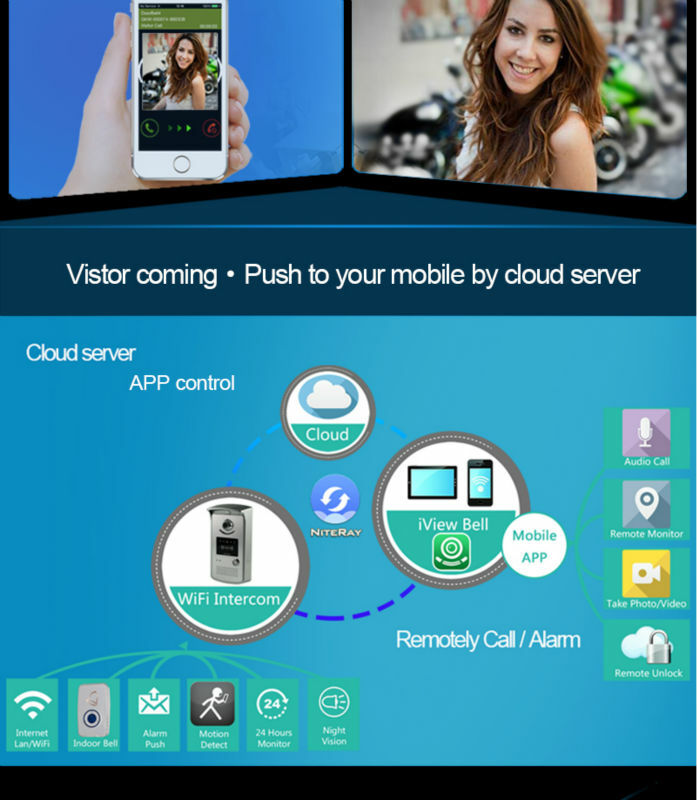 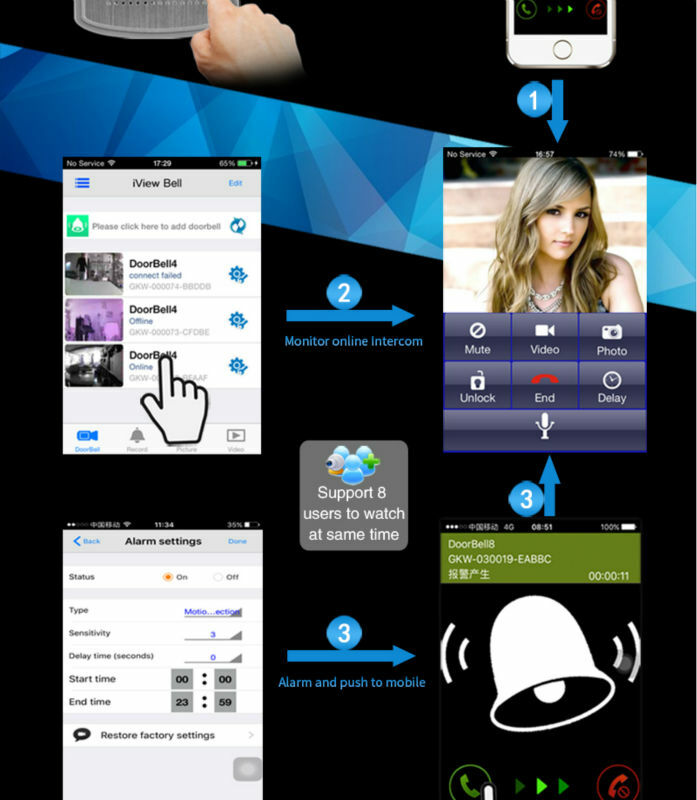 P2P cloud service could push messages of visitor calling and alarms. 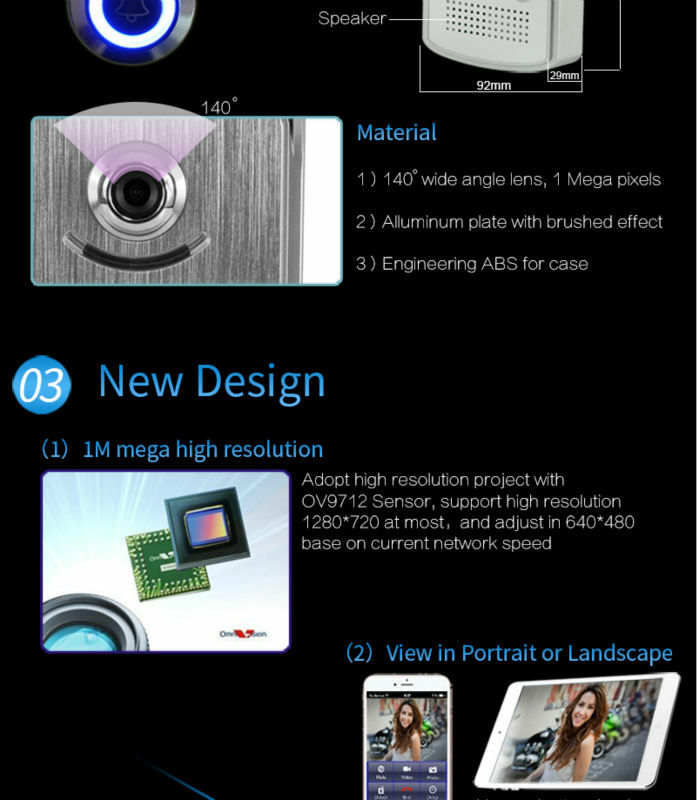 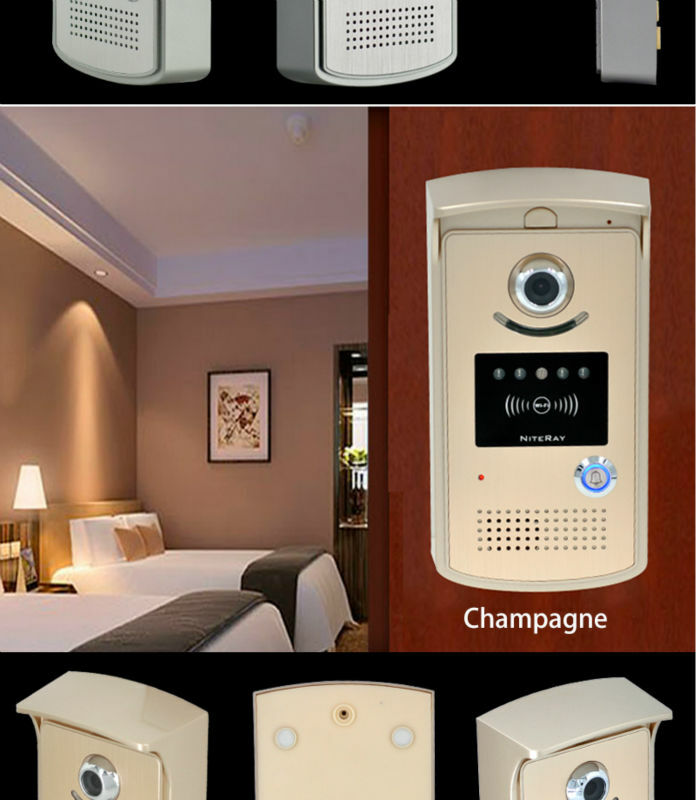 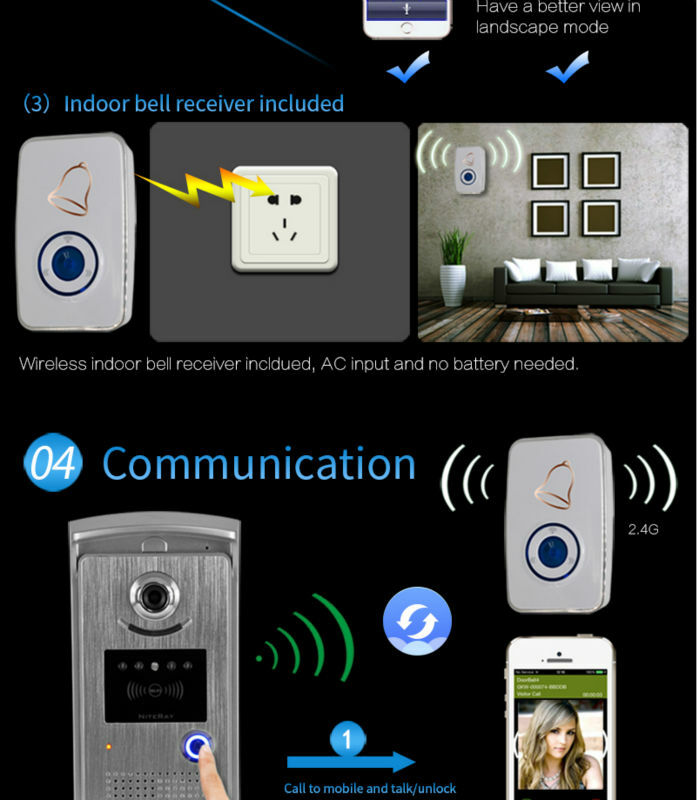 This wireless doorbell also has capabilities of motion detect alarm, PIR, infrared night view, which as a brand new door-bell system, IP door phone camera intercom home security system. 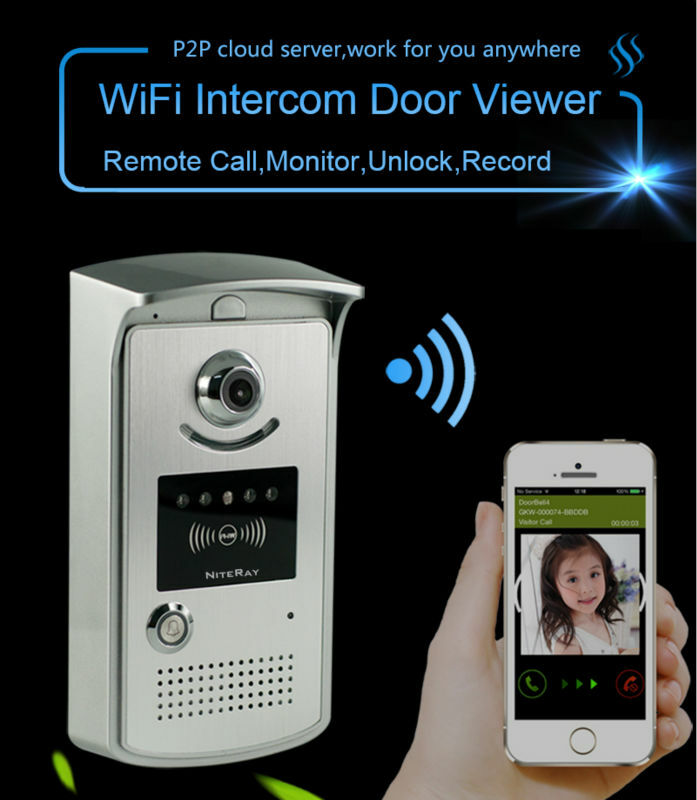 The smart video doorbell lets you answer the door using your smartphone, allows you to see, hear and talk to your visitor from an iOS or Android mobile device with Wi-Fi or 3G/4G coverage. 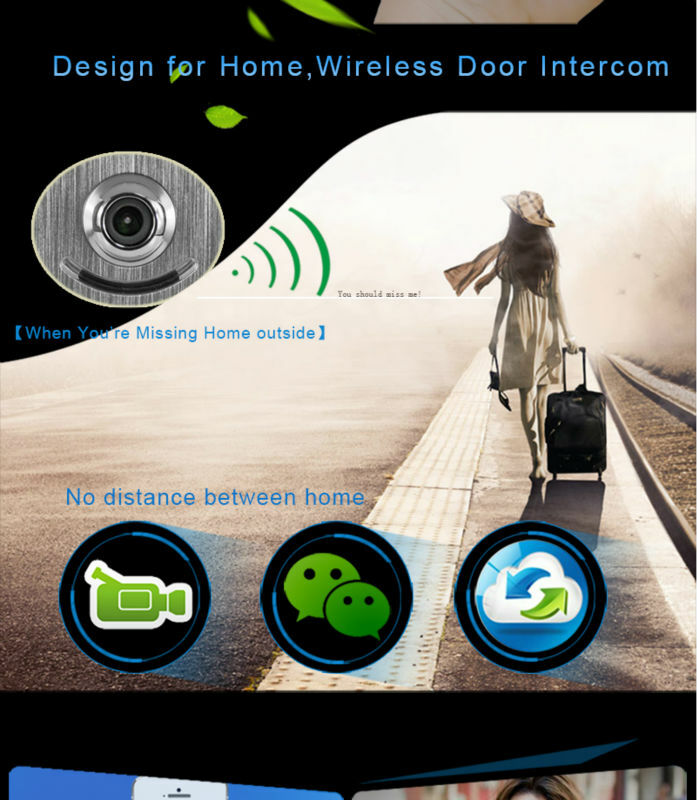 anywhere in the world! 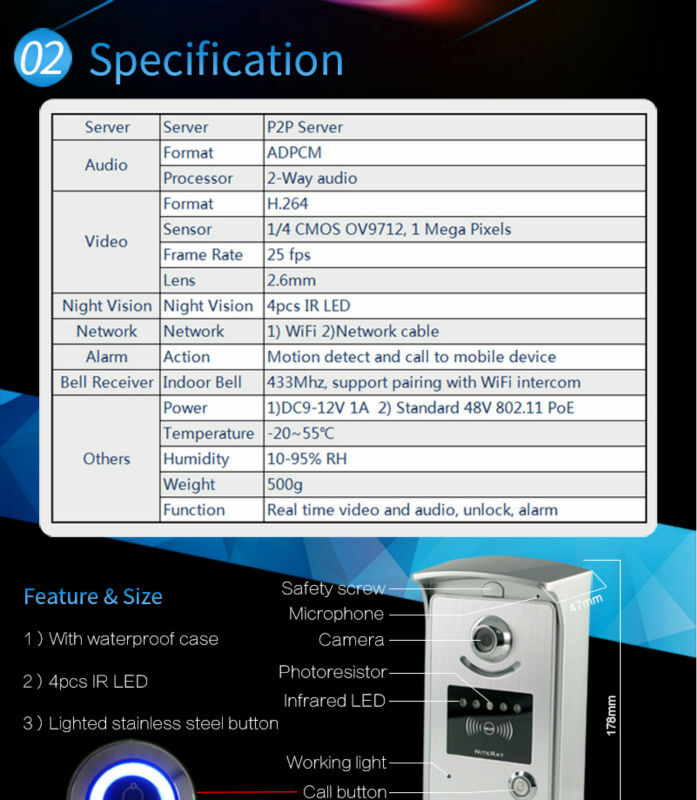 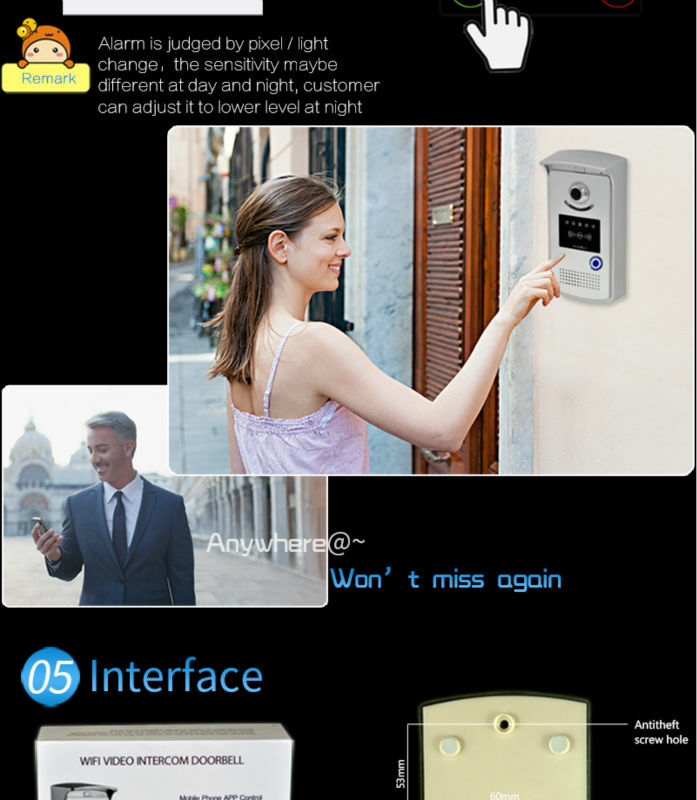 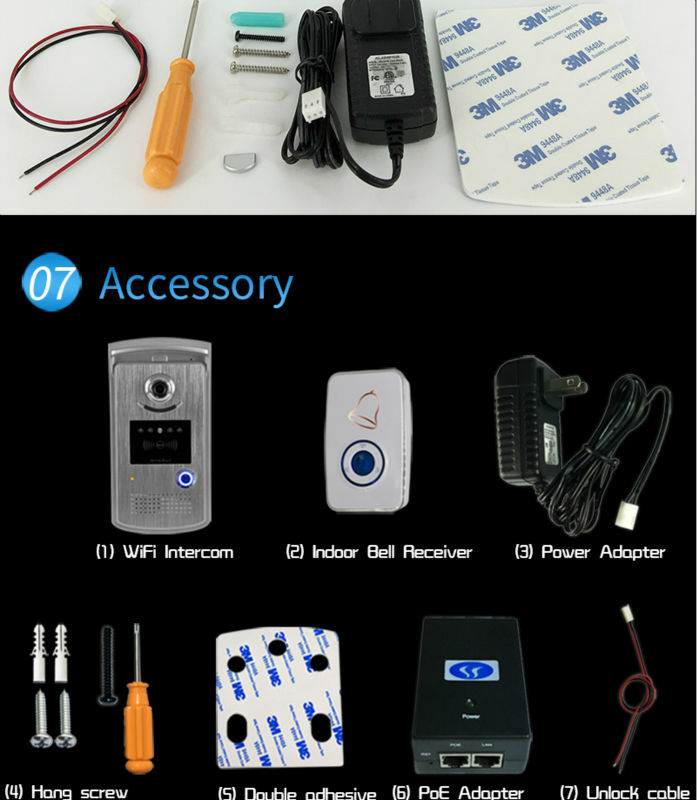 It supports 8 users to moniter one video doorbell at the same time, also has one indoor bell receiver included.